Green Bluff Growers represents a community of friendly family farms, orchards and other businesses dedicated to providing a wonderful country setting for your enjoyment. You'll find delicious fresh picked fruit and vegetables, home baked pies, handmade gifts, live music and unique activities. It is great for people of all ages! Just 15 minutes north of Spokane. Hours: Each individual member of Green Bluff has their own hours, so please check the website www.greenbluffgrowers.com for each business. The types of payment accepted also varies, so clarify prior to purchase. Seasonal Dates: Mother's Day - Christmas Eve for most of the businesses. 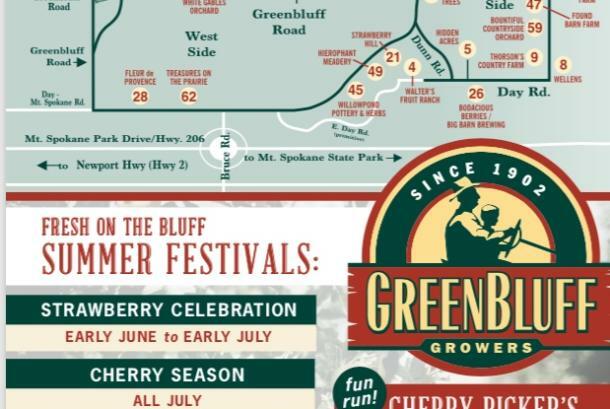 Comments/Notes: Check the Green Bluff Growers website for a current calendar of events. 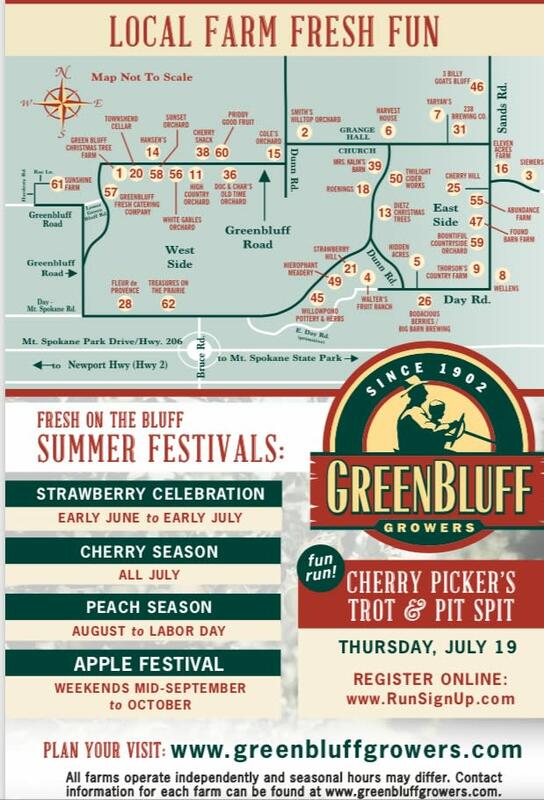 The present day Green Bluff Growers is an association of small family farms and food stands. Seasonal activities include pick-your-own fruit and annual festivals such as: June Strawberry Celebration, July Cherry Festival, July Cherry Pickers' Trot and Pit Spit, August Peach Festival, September Apple Harvest Festival, That's a big change from the earliest days of the growers' association, which formed in 1902. In those days, the group's mission was to protect local strawberry growers from outside competition. 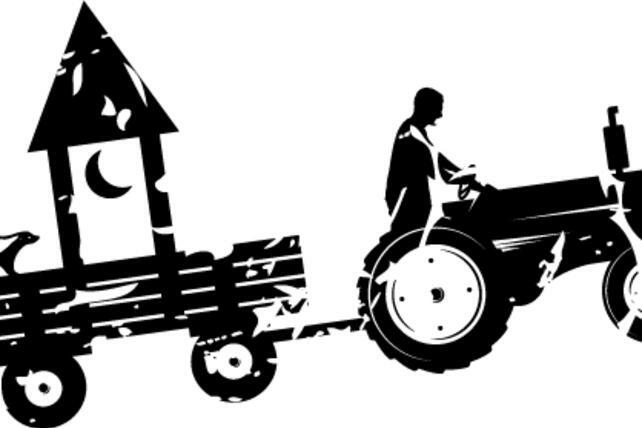 Now, the association helps local farmers with agricultural tourism. 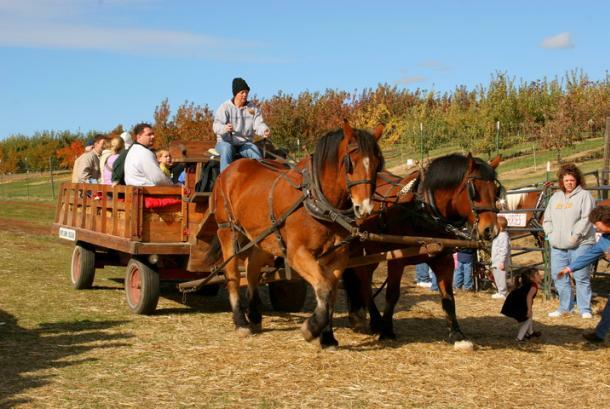 The promise of an old fashion farm experience brings thousands of visitors each year to the rolling hills northeast of Spokane.